When it comes to cycling you want to be prepared, there is nothing worse than being miles away from home and getting a puncture which you’ve not accounted for. Fear not! This promotional toolkit by Promofix is a cost-effective, quality solution for any cycling shop or company. 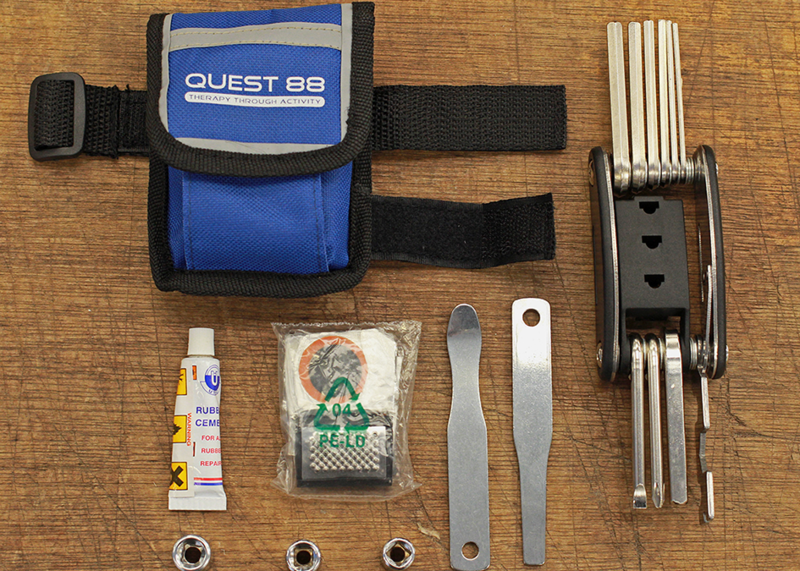 Promofix have produced branded tool kits for Shrewsbury based Quest 88, to provide their customers with a practical, sturdy corporate gift which can to be used when repairing punctures, tightening components and replacing inner tubes. With this addition in your cycling setup you can be sure you’re ready!